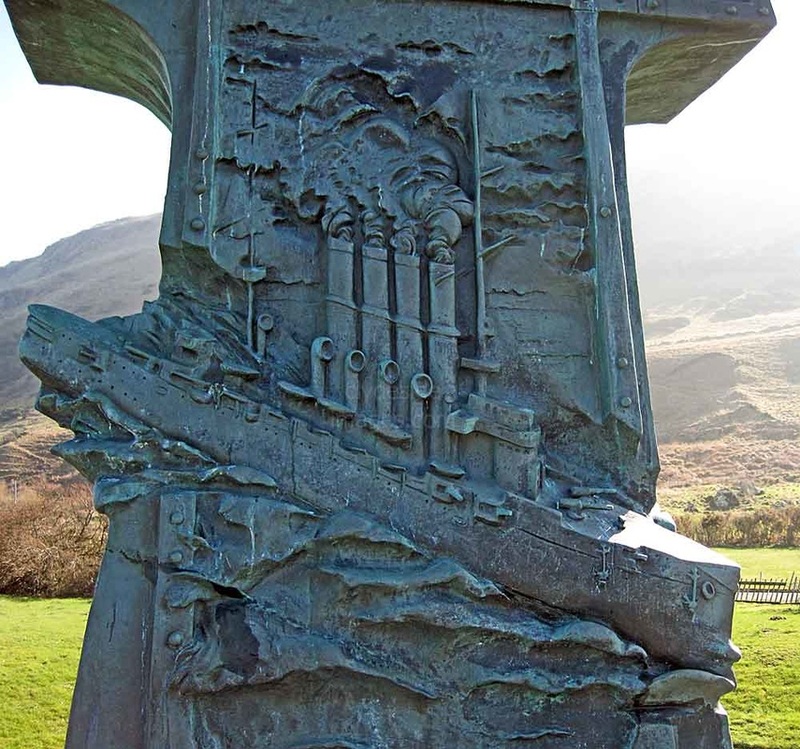 ​This striking memorial to the Russian warship Varyag lies on the Ayrshire Coast at the village of Lendalfoot, approximately 6 miles south of Girvan. Varyag was a cruiser built in the United States for the Imperial Russian Navy. She was launched on 31 October 1899 and commissioned on 2 January 1901. In 1904, at the outbreak of the Russo-Japanese War, Varyag and her crew became famous for a heroic action after she and another Russian gunboat were trapped by 15 Japanese warships while she was in the neutral Korean port of Chemulpo. Rather than surrender to the Japanese, the Russian ships sailed out to meet their enemy. 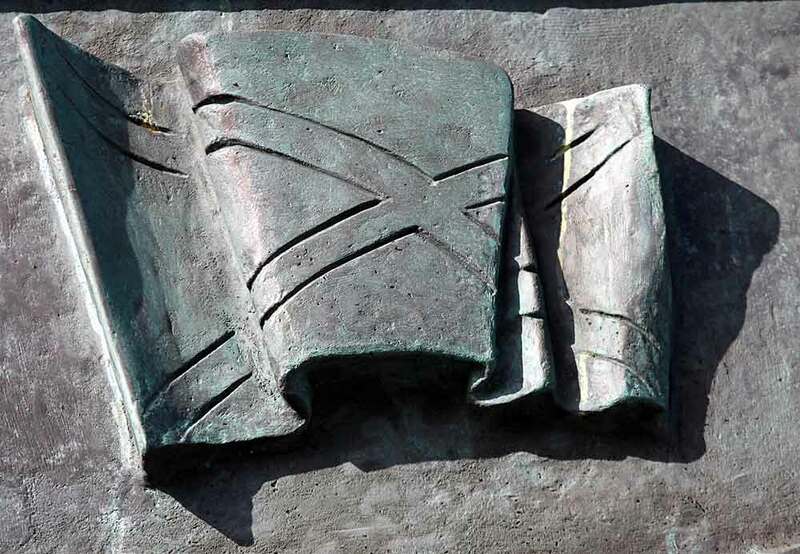 They put up a brave fight but, drastically outgunned, they received heavy damage and were forced to return to harbour where the decision was taken to scuttle the vessels. 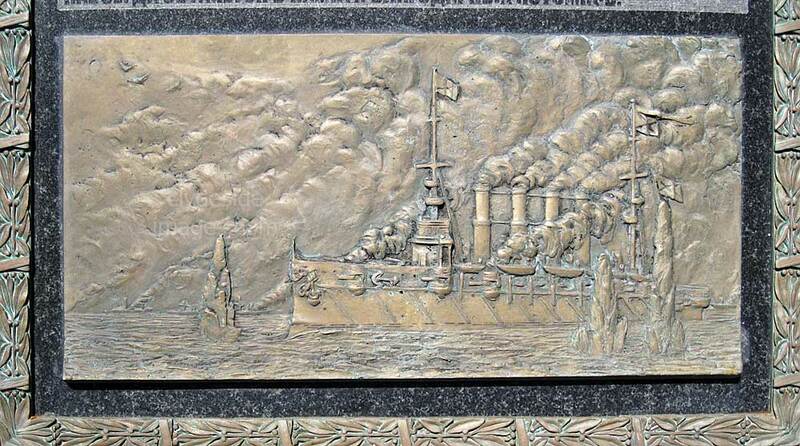 A number of neutral European warships, including the British cruiser HMS Talbot, picked up the surviving crew members who were eventually returned to Russia. They returned to a heroes' welcome. In 1905 the Japanese raised the vessel and carried out repairs after which it served in their navy as the light cruiser Soya. 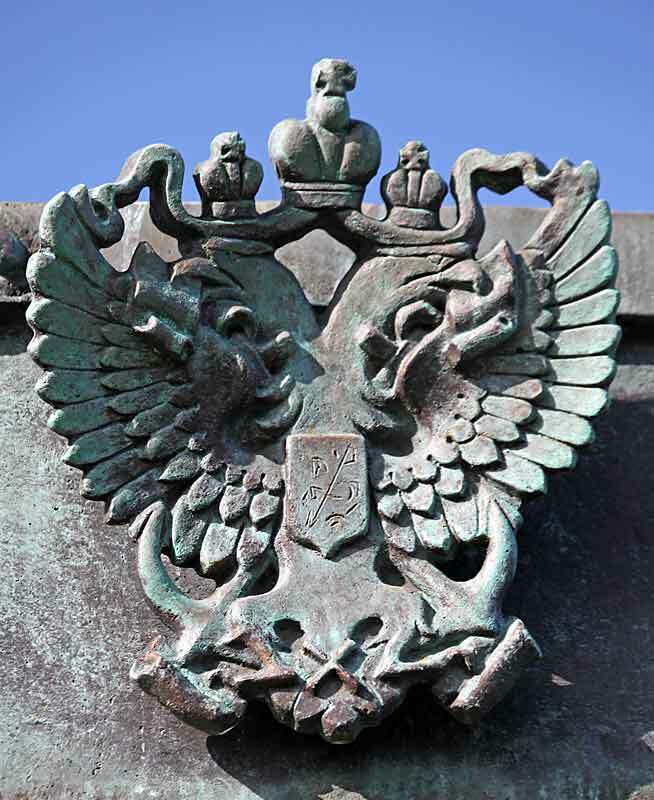 During the Great War, however, Russia and Japan became allies and Varyag was one of several ships transferred by the Japanese to the Russian Navy. 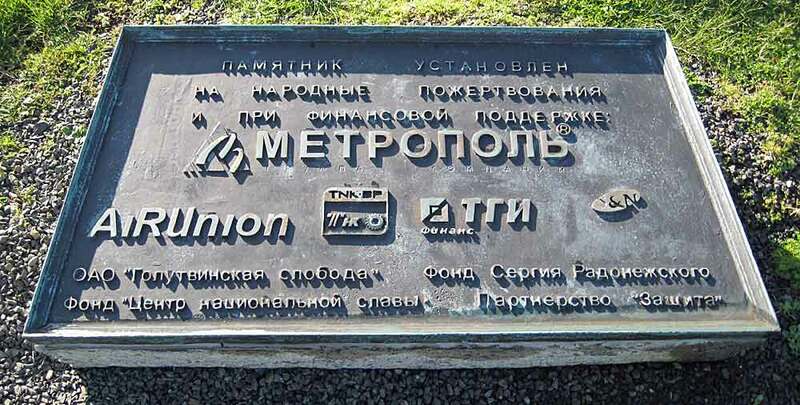 The Russians immediately gave the warship her original name back. In 1916 Varyag was sent to Great Britain for a refit but by the time she was ready to resume active service with the Arctic Squadron the Russian Revolution was underway so, to prevent her falling into the wrong hands, she was impounded by the British. 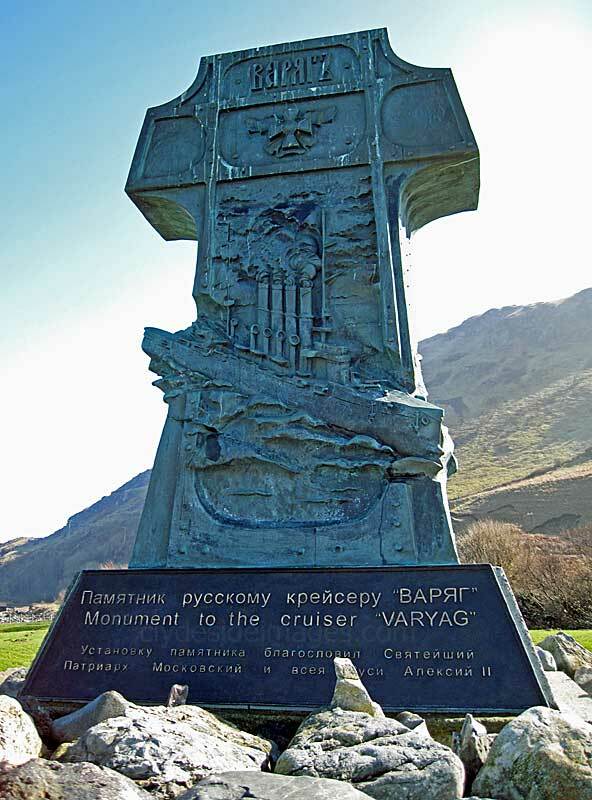 In 1920 Varyag was sold to Germany for scrap but while she was under tow she ran aground on rocks off Lendalfoot. The wreck remained visible until 1925 when the once proud warship finally sank beneath the waves. 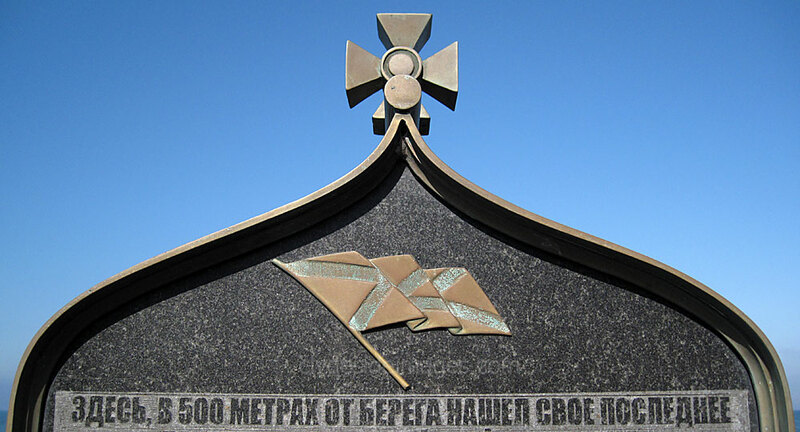 On Sunday 30 July 2006 (Russian Navy Day) a memorial tablet to the cruiser was unveiled at the site. 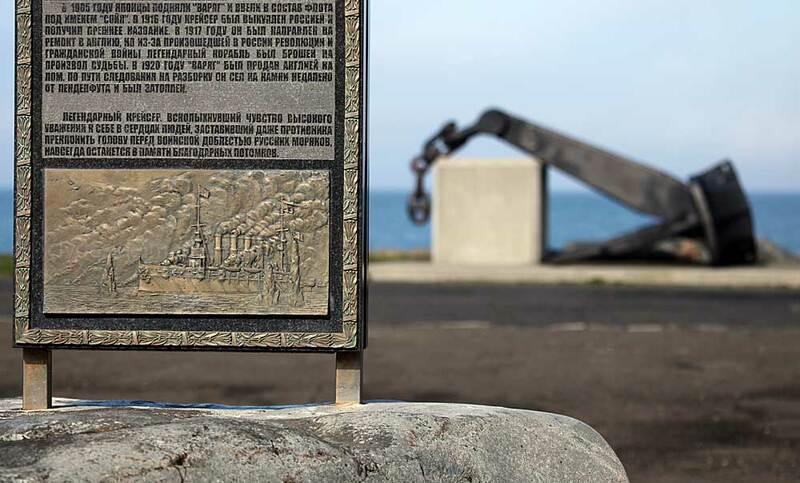 Various Russian dignitaries and naval personnel attended the ceremony but the Russian people wanted to have a more significant memorial. 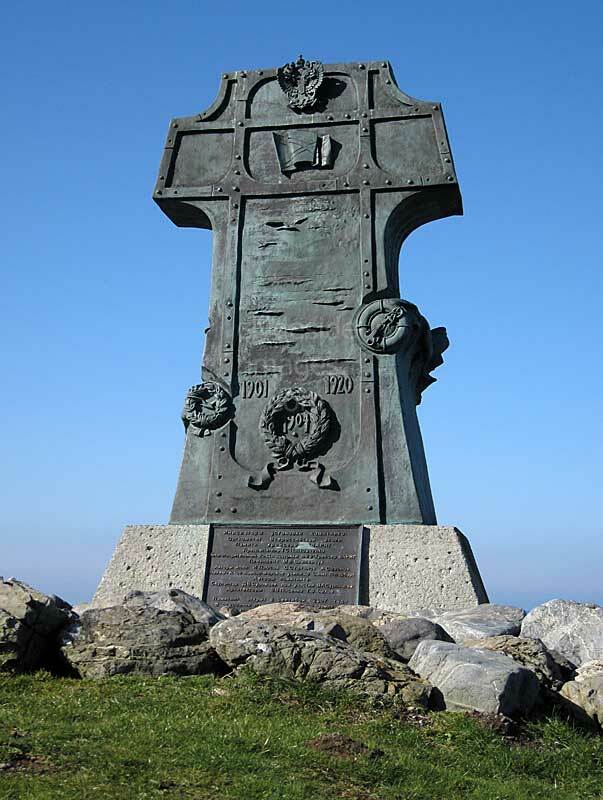 In response, the striking bronze cross featuring the warship was unveiled the following year. 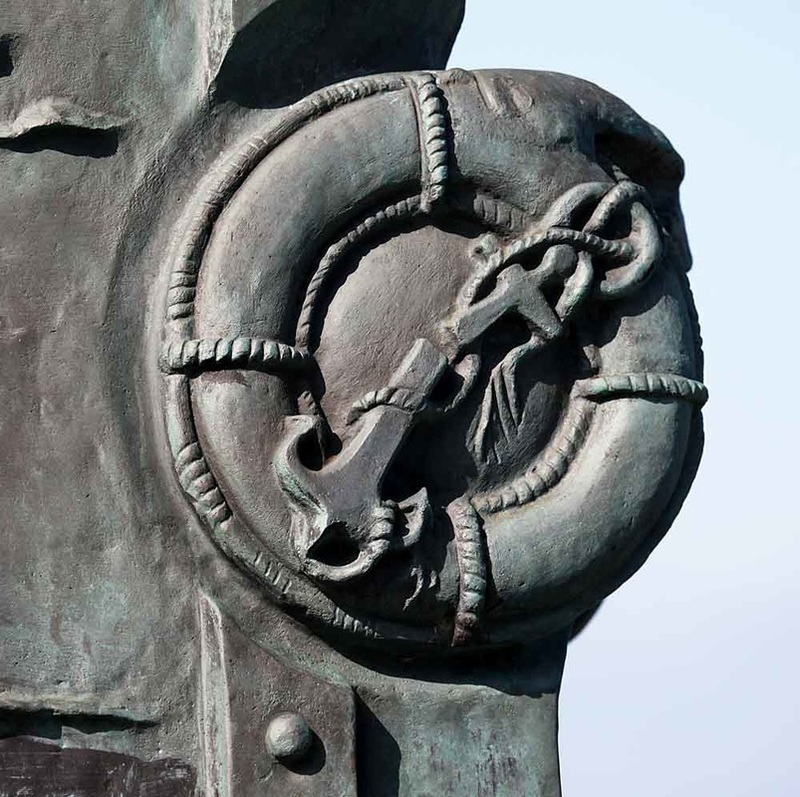 Lengths of anchor chain and an anchor have been salvaged from the vessel and form part of the memorial. Please remember that all images on this website are Copyright. They are not free to use and have been embedded with a digital watermark.